St. George’s Day is celebrated on April 23. Are you familiar with St. George’s Day? As the website http://www.st.georgesday.com points out, the Irish celebrate St. Patrick’s Day and the Scottish have St. Andrew’s Day. All English people should come together on April 23 to celebrate England’s own patron saint. Traditionally one flies the St. George flag and wears a red lapel rose. 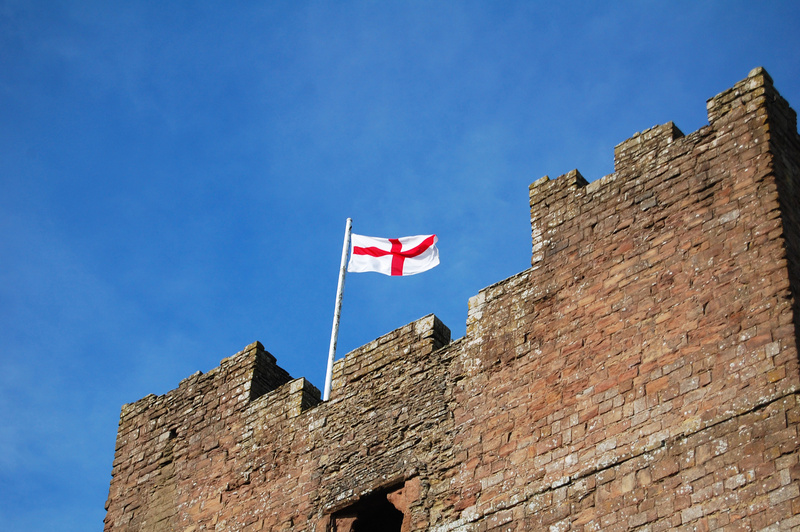 The history of St. George’s Day is a long one. The Council of Oxford declared April 23 to be the day of recognition in 1222. In 1348 St. George became the Patron Saint of England and the protector of the royal family. In 1552, during the English Reformation, banners for all saints, except Saint George, were banned. The April 23 holiday remembering St. George’s death, was a major one, on a par with Christmas, until the 18th century when England and Scotland united. 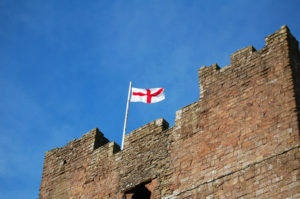 Recently many societies, including the English Heritage and the Royal Society of St. George, are working to reinstate the major holiday. Who Do We Celebrate on St. George’s Day? Saint George was a Roman soldier. He was put to death in AD 303 for refusing to recant his Christian faith. He was especially venerated as a Christian martyr by the Crusaders. In medieval romance stories, St. George slew a dragon with a lance called Ascalon. Interestingly, centuries later Winston Churchill used the name Ascalon for his personal aircraft during World War II. He is often depicted seated upon a white horse, slaying a dragon. George is regarded as a protective saint. His cross forms the national flag of England and is featured on the union flag of the United Kingdom. One of our favorite local places to hoist a pint in honor of St. George is the Fox and Parrot Tavern located on Glades Road. Perhaps we will see you there! BUCKHORN INN EARNS FODOR’S CHOICE 2010 DISTINCTIONFROM FODOR’S TRAVEL: Buckhorn Inn has been recognized by Fodor’s Travel, the foremost name in travel publishing, as a 2010 Fodor’s Choice selection. This distinction represents a remarkable achievement and recognizes Buckhorn Inn as a leader in its field for service, quality, and value in the 2010 year. Since 1988, Fodor’s Travel has been awarding the Fodor’s Choice distinction to only the very best hotels, restaurants and attractions around the world. Every year, Fodor’s writers experience, examine and evaluate thousands of hotels, restaurants and attractions in their travels across the globe. While every business included in a Fodor’s guide is deemed worth a traveler’s time, only fifteen percent of those selections are awarded the very highest, Fodor’s Choice designation by Fodor’s editors. As a 2010 Fodor’s Choice recipient Buckhorn Inn receives special recognition in the current Fodor’s guidebook to this region and on Fodors.com. Buckhorn Inn was previously recognized by Fodors in 2001 as one of the most unique lodging establishments in the United States. Established in 1938, Buckhorn Inn offers fine accommodation in traditional rooms, suites, cottages and guesthouses on its 30 acre site overlooking the Great Smoky Mountains. It also offers dinner each evening to inn guests, tourists and locals. Served by soft lamplight in the dining room which overlooks the mountains, this sumptuous repeast contains only the freshest and best quality ingredients, all carefully selected by our chefs.